Bentley Farm Gazette: Clear the Roads! 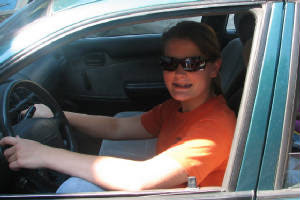 One of the rites of passage for teenagers is the permit test. Hannah was successful in passing hers today, and was feeling quite comfortable behind the wheel. Hopefully, the rest of us will soon feel similarily.